Yet another breathtaking edition of world's most liked T20 league IPL is set to get underway on 23rd of March. 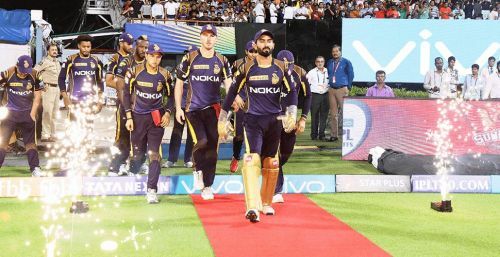 One of the most successful IPL teams, Kolkata Knight Riders will start their campaign on March 24 when they will take on Sunrisers Hyderabad at Eden Gardens in Kolkata. KKR are only behind Chennai Super Kings and Mumbai Indians in terms of winning the IPL title as they have lifted the trophy two times while CSK and MI both have won the title thrice. Last season, KKR quite surprisingly qualified for the playoffs in spite of having a weak squad. But this season, they have a quite decent squad. So they will surely be hoping to get their hands on IPL trophy for the third time. Here, we take a look at the best player in each department for KKR who can play a crucial role for them in winning the tournament. Kolkata Knight Riders have a very inexperienced fast bowling attack for the upcoming season as they have Anrich Nortje, Lockie Ferguson, Shivam Mavi, Hardus Viljoen, Kamlesh Nagarkoti, Prasidh Krishna and Prithvi Raj in their fast bowling attack. Even though, these bowlers have not enough experience but all of these have the potential to do well on the big stage. However, the exceedingly skilled kiwi pacer Lockie Ferguson could be the best fast bowler for the franchise in IPL 2019. Ferguson is someone who can consistently bowl over 145 kph and has a good bouncer and a yorker which makes him a quite lethal bowler in the shortest form of the game. He has been in great form of late in international cricket. 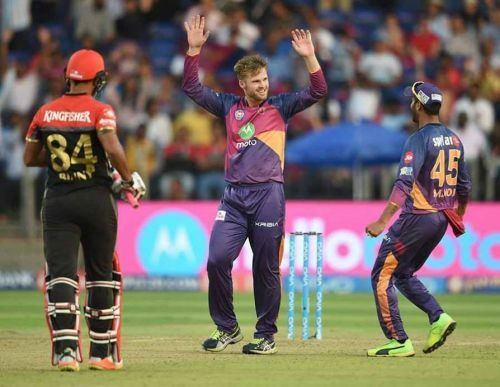 Previously, Ferguson has played for Rising Pune Supergiants in IPL 2017 where he played just 4 matches and picked up 3 wickets. As far as Ferguson's T20I stats are concerned, he has taken 10 wickets from 5 matches at an unbelievable average of 13.5 and an economy rate of 7.15 with 21/3 being his best figures. With KKR not having any big name in their fast bowling attack, Ferguson is expected to be their first choice overseas pacer in the upcoming season. KKR will have high hopes from the kiwi paceman in IPL 2019. Considering Lockie Ferguson's potential, he could surprise everyone with his performance in IPL 2019. It will be worth watching him in the approaching season.